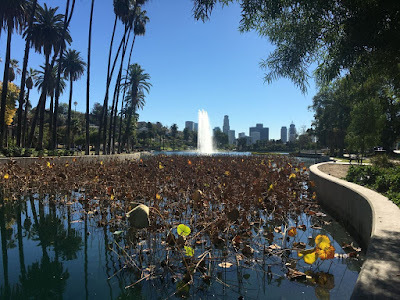 Last November, I was in Southern California for a conference and had some time during the day to explore a bit of Los Angeles. 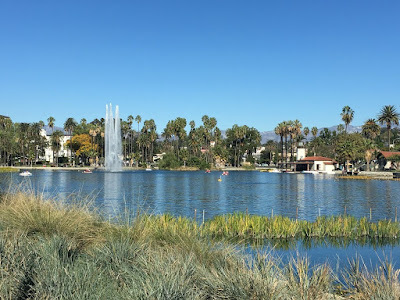 Here's a link to Part I of this two part series on Echo Park Lake. The lake was originally created as a drinking water reservoir in 1870, eventually becoming a city park in 1890. 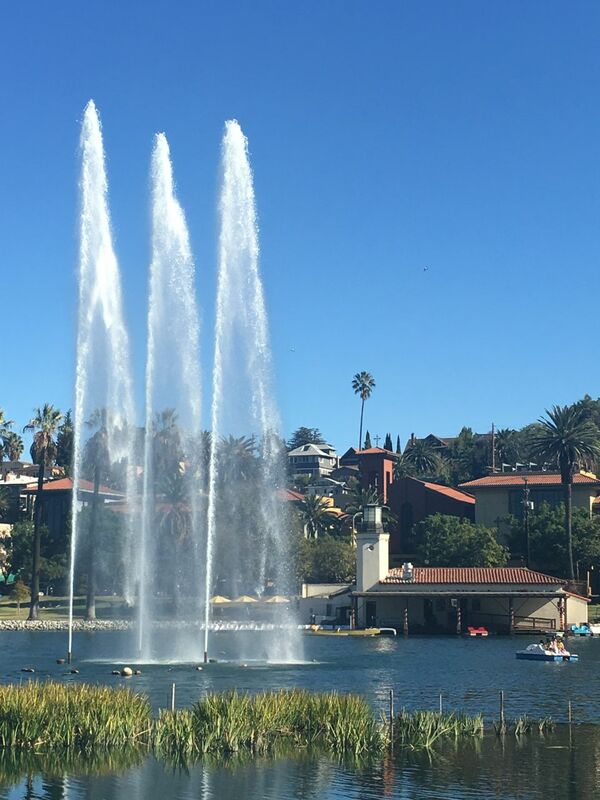 After serving generations of Angelenos, Echo Park Lake fell on hard times. It received a needed $45 million renovation, reopening in 2013. A sign explaining the Echo Park Lake lotus flowers, which were introduced from China sometime in the 1920's. You can see them in the spring or summer. Despite what looks like a summer day, these photos were taken in late November. More on the lotus flowers in a bit. 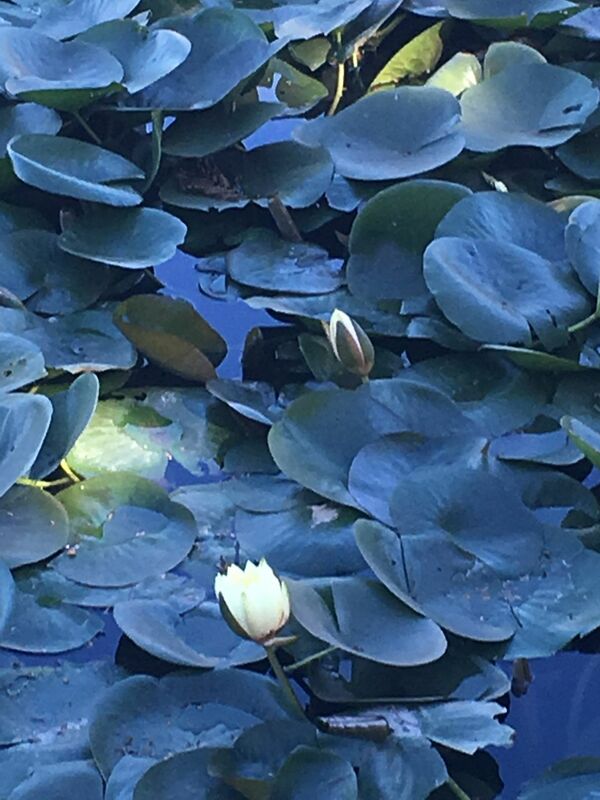 A couple flowers of the lily pads were still around. 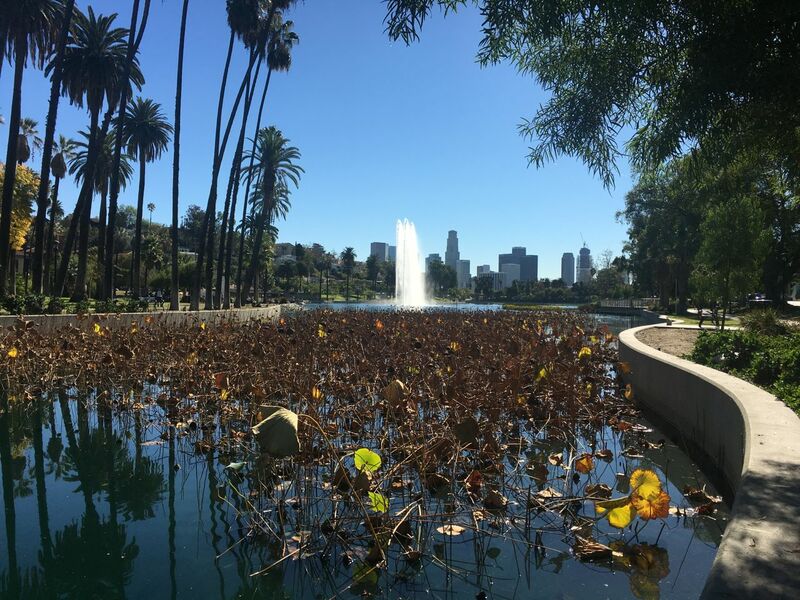 Another view of the lily pads at the southern end of the park. 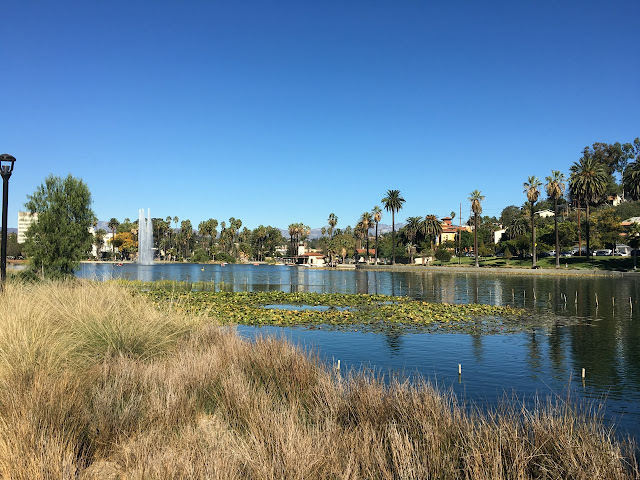 900 acres of urban land drains into Lake Echo Park, and the recent renovation was designed to create a natural habitat to help filter the water coming out of storm drains. Another view of the grasslands along the southern shore. It's a bit funny to say "southern shore" - the lake is 13 acres and a walk around the perimeter is slightly less than a mile. No longer a reservoir, Echo Park one of several small urban lakes in Los Angeles that not only provide a park-like setting, but, in a small way, serve to act to filter surface water heading to the ocean. 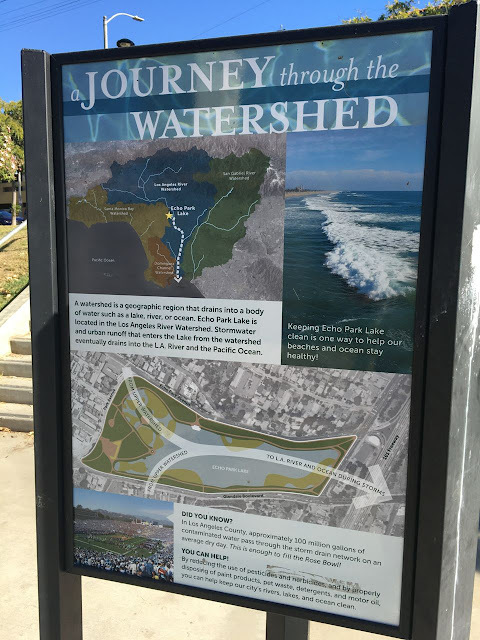 This sign is a great reminder that everything from motor oil to pet waste that's dumped in the street eventually ends up in the ocean. Just across the street from the lake are apartment buildings and even some single family homes. I really like the look and feel of this historical looking Spanish (or is it Mediterranean?) apartment complex, especially the outdoor staircase. 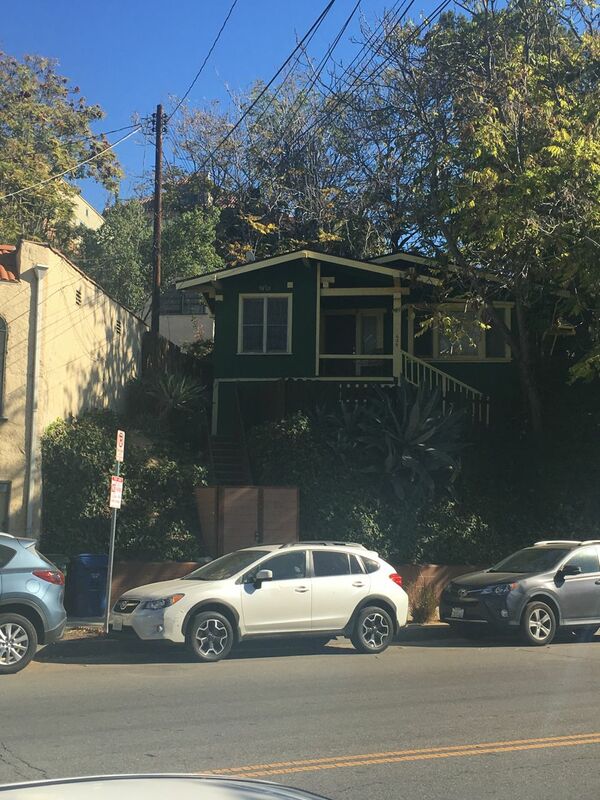 A couple of doors down was a historic Craftsman style single family residence. 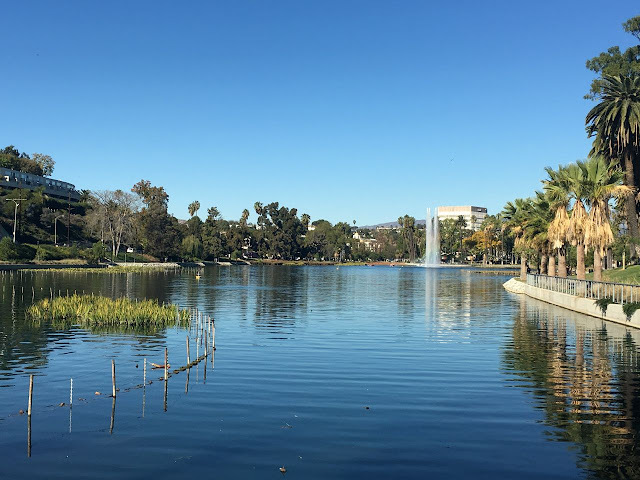 Over the past 20 or so years, residents Echo Park have worked with the City and with LAPD to improve both safety and quality of life of the community. In the 1990's, the community was a tough place to live, with residents dealing with both crime and gang violence. 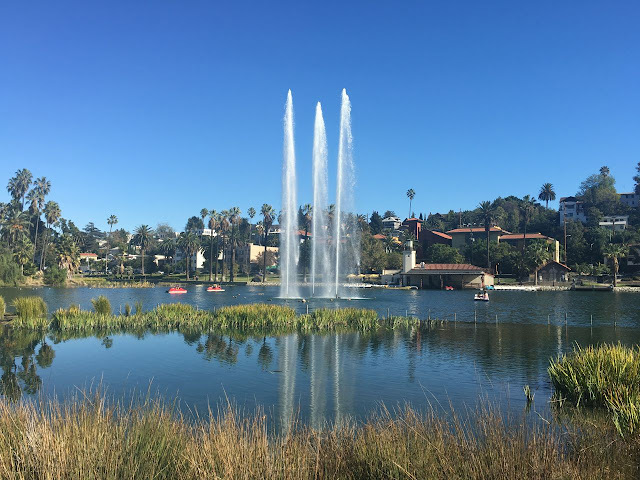 Echo Park's gentrification has been generally good for long time property owners, who have seen their community turn a corner - becoming a much more desirable place to live. For renters, it's mixed back. Los Angeles limits the amount older apartments (built before 1978) can increase their rent to just 3% a year. Tenants receive up to $12,000 to be relocated if a building is sold and the new owners want to get new. However, finding a new place anywhere near the same rent is virtually impossible. 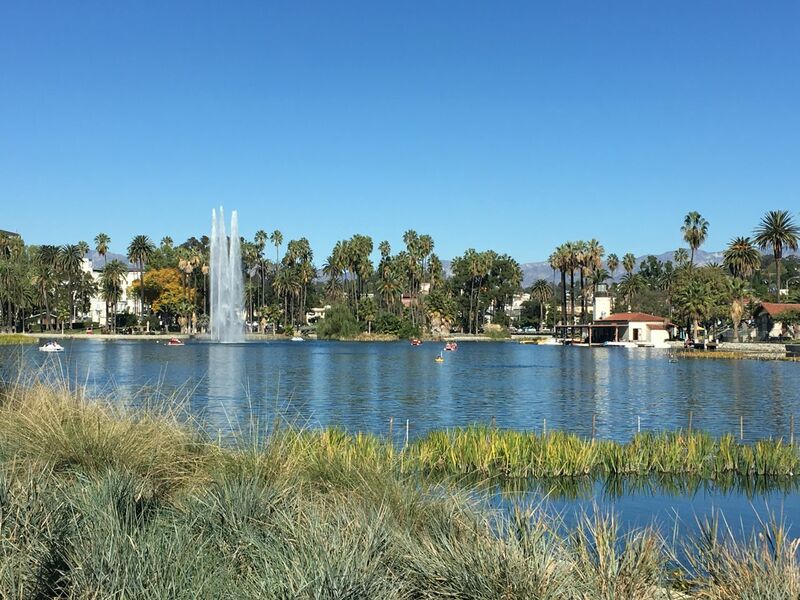 Here's an interesting "pro/con" article on gentrification from Los Angeles Weekly. I had an interesting conversation about rent with the guy working over in the boathouse (paddle boats are $10/hour for adults, $5 kids). He grew up in Manhattan Beach - a beachside community about 10 miles south of LAX - subject for a future post. It's a great place to grow up - but hard / impossible to afford living there as an adult. He's living in Echo Park, but is watching rents increase here, too. As a Christian, I try to see both side of the issue on issues like gentrification and the related increase in the cost of housing. I tend to land on increasing the supply of housing to keep up with demand. I don't want to be naive, but it seems like the best long-term, sustainable solution to the lack of affordable housing to create a business climate that encourages the development of more - a lot more - housing units. And, understandably, there is tremendous push back on this, especially from current residents. With the exception of downtown Los Angeles, I can't think of a single community in Los Angeles that wants more residents or higher density. 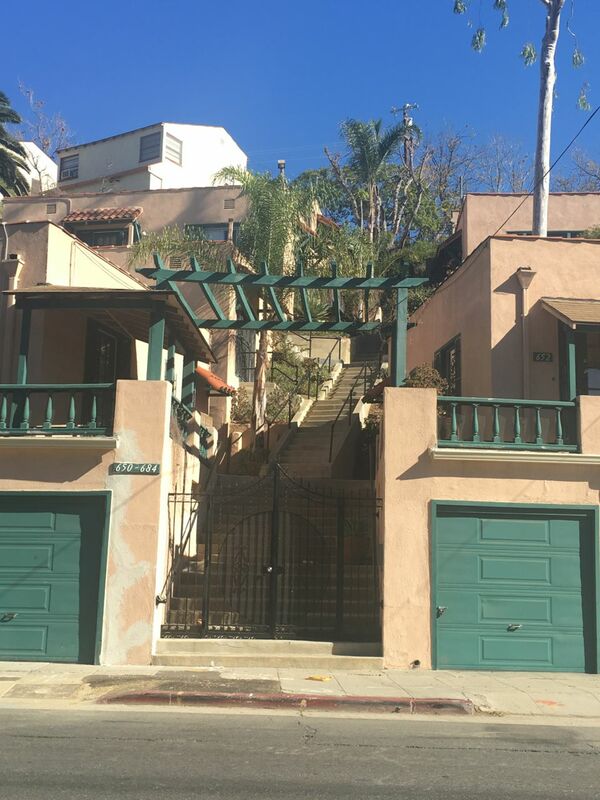 One of the biggest challenges of living in Los Angeles is the cost of housing. I certainly sympathize with friends who've had to move out of Los Angeles (or out of state) simply because they could not afford to live here. Or, they preferred to live in a three or four bedroom house out of state verses a one bedroom apartment in Los Angeles. I'll finish with a couple of final photos. 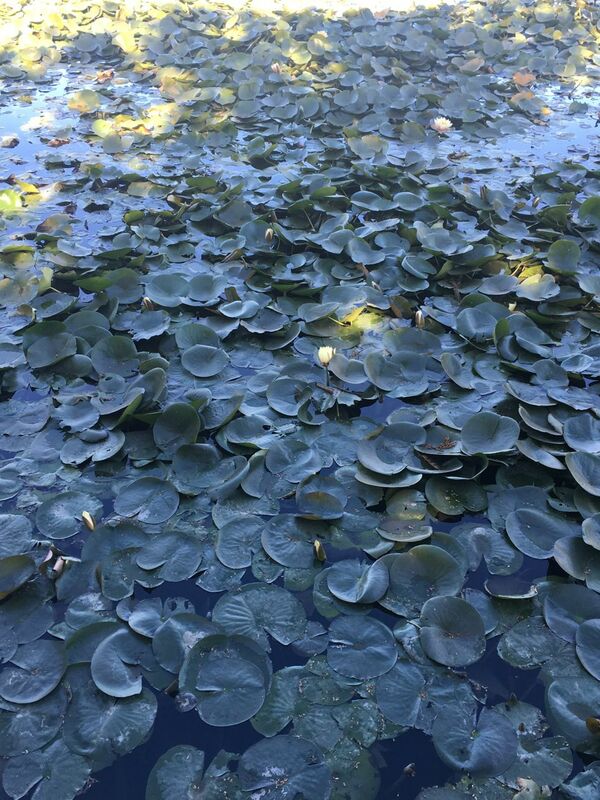 This is what the lotus plants look like when they're dormant. If you want to see them in bloom, come back during the summer months. 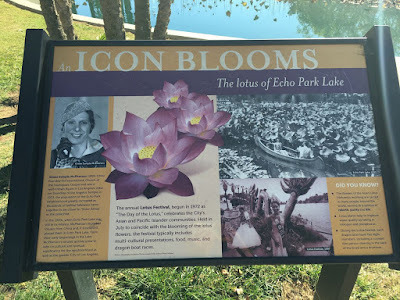 The city hosts an annual Lotus Festival every July. 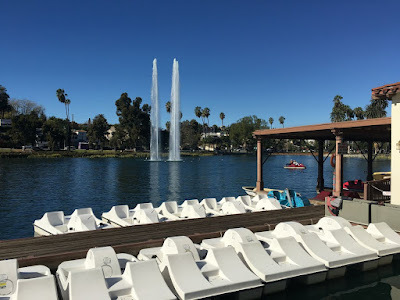 Here's a final view: boathouse to the left, skyline of downtown Los Angeles to the right. 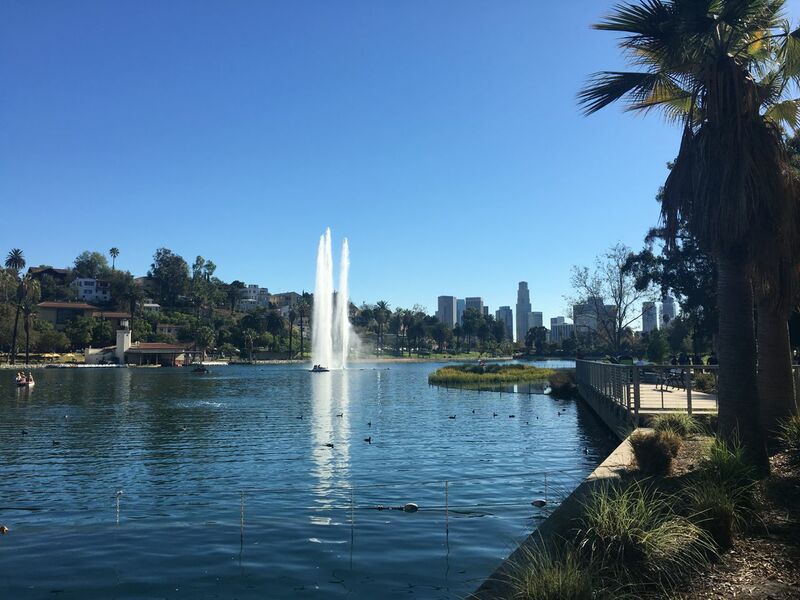 As someone who grew up on the westside (of Los Angeles) and then lived there as an adult, I'd certainly appreciate any thoughts of feedback from those more familiar with the Echo Park neighborhood. Feel free to leave a comment.